I found this by accident, and had to post about it. 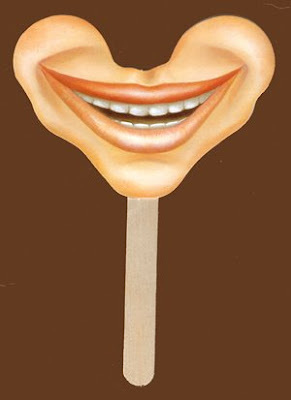 Smile on a Stick - smiling is not that hard, but I know some people I would love to buy these for. Its interesting, I smile at people all day when I pass them in the hall at work and the majority of the time, the look down at the floor after we have made eye contact and they have seen my pearly whites. What is wrong with people?